Allergies, also known as allergic diseases, are a number of conditions caused by hypersensitivity of the immune system to something in the environment that usually causes little problem in most people. Normally, the immune system would only react if a harmful substance, such as bacteria, attacks the body. For people with allergies, their immune systems are working too hard and react even when relatively harmless substances, such as pollen. The body’s immune system treats the substance (called an allergen) as an invader and overreacts, causing symptoms that can range from annoying to serious or life threatening. People who have allergies often are sensitive to more than one thing. Pollen: Pollen is one of the major cause of allergies (most people know pollen allergy as hay fever or rose fever). 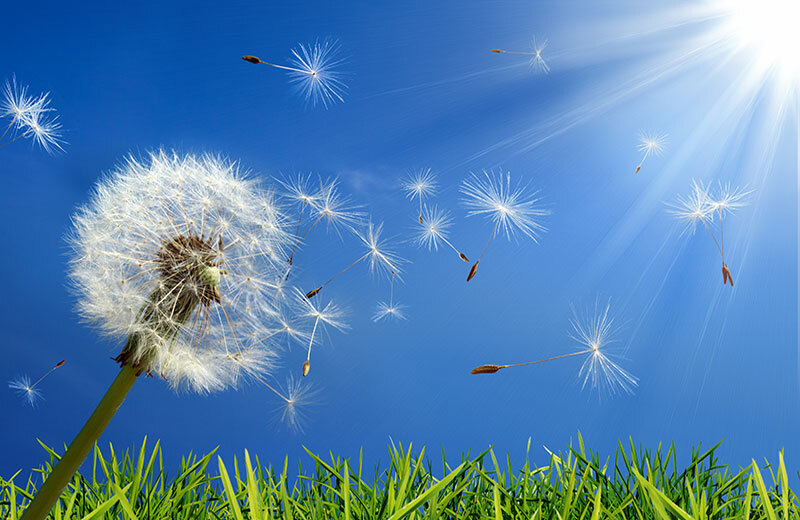 Trees, weeds, and grasses release these tiny particles into the air to fertilize other plants. 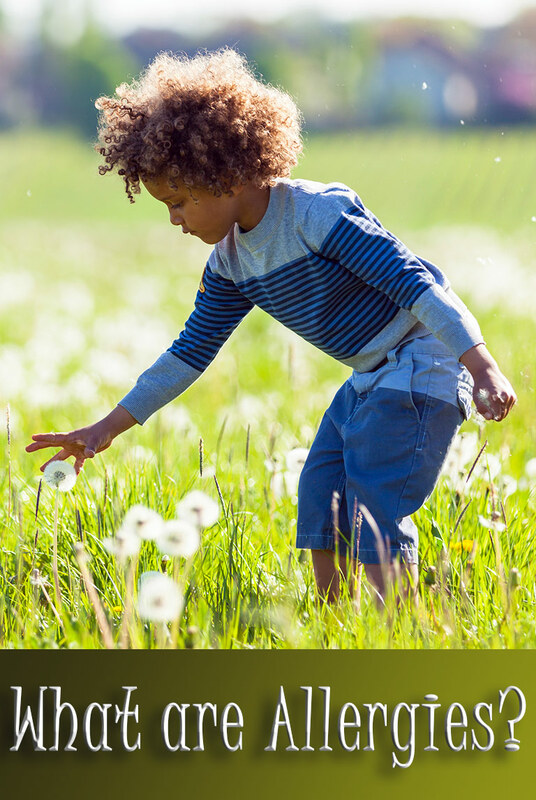 Pollen allergies are seasonal, and the type of pollen someone is allergic to determines when symptoms will occur. For example, in the mid-Atlantic states, tree pollination begins in February and lasts through May, grass from May through June, and ragweed from August through October; so people with these allergies are likely to experience increased symptoms during those times. Dust mites: Dust mites are one of the most common causes of allergies. These microscopic insects live all around us and feed on the millions of dead skin cells that fall off our bodies every day. Dust mites are the main allergic component of house dust, which is made up of many particles and can contain things such as fabric fibers and bacteria, as well as microscopic animal allergens. Dust mites are present year-round in most parts of the United States (although they’re much less common at high altitudes) and live in bedding, upholstery, and carpets. Mold spores: Molds, another common allergen, are fungi that thrive both indoors and outside in warm, moist environments. Outdoors, molds can be found in poor drainage areas, such as in piles of rotting leaves or compost piles. Indoors, molds thrive in dark, poorly ventilated places such as bathrooms and damp basements, and in clothes hampers or under kitchen sinks. A musty odor suggests mold growth. Although molds tend to be seasonal, many can grow year-round, especially those indoors. Pet dander: Pet allergens from warm-blooded animals can cause problems for kids and parents alike. Pet dander (tiny flakes of shed skin, fur, or feathers) can lead to allergies. (Contrary to popular belief, dander that causes allergies is not related to the length of an animal’s fur or hair, and there is no such thing as a non-allergenic dog or cat.) Animal saliva also can be an allergen, when a pet licks someone, or licks him or herself. When pets lick themselves, the saliva gets on their fur or feathers. As the saliva dries, protein particles become airborne and work their way into fabrics in the home. Cats are the worst offenders because they tend to lick themselves more than other animals as part of grooming. Pet urine also can cause allergies in the same way when it gets on airborne fur or skin, or when a pet urinates in a spot that doesn’t get cleaned. Food: The American Academy of Allergy, Asthma, and Immunology estimates that up to 2 million, or 8%, of kids in the United States are affected by food allergies, and that eight foods account for most of those: cow’s milk, eggs, fish, shellfish, peanuts, tree nuts, soy, and wheat. Insect stings: For most kids, being stung by an insect means swelling, redness, and itching at the site of the bite. But for those with insect venom allergy, an insect sting can cause more severe symptoms. Medicines: Antibiotics (used to treat infections) are the most common types of medicines that cause allergic reactions. Many other medicines, prescription and over-the-counter, also can cause allergic reactions. If your child reacts to a medicine, talk to your doctor before assuming the reaction is a sign of allergy. Chemicals: Sometimes, cosmetics or laundry detergents can cause an itchy rash. Usually, this is because someone has a reaction to the chemicals in these products. Dyes, household cleaners, and pesticides used on lawns or plants also can cause allergic reactions in some people. In an attempt to protect the body, the immune system of the allergic person produces antibodies called immunoglobulin E (IgE). Those antibodies then cause mast cells and basophils (allergy cells in the body) to release chemicals (including histamine) into the bloodstream to defend against the allergen “invader.” It’s the release of these chemicals that causes allergic reactions, affecting a person’s eyes, nose, throat, lungs, skin, or gastrointestinal tract as the body attempts to rid itself of the invading allergen. Future exposure to that same allergen will trigger this allergic response again. This means that every time the person eats that particular food or is exposed to that particular allergen, he or she will have an allergic reaction. 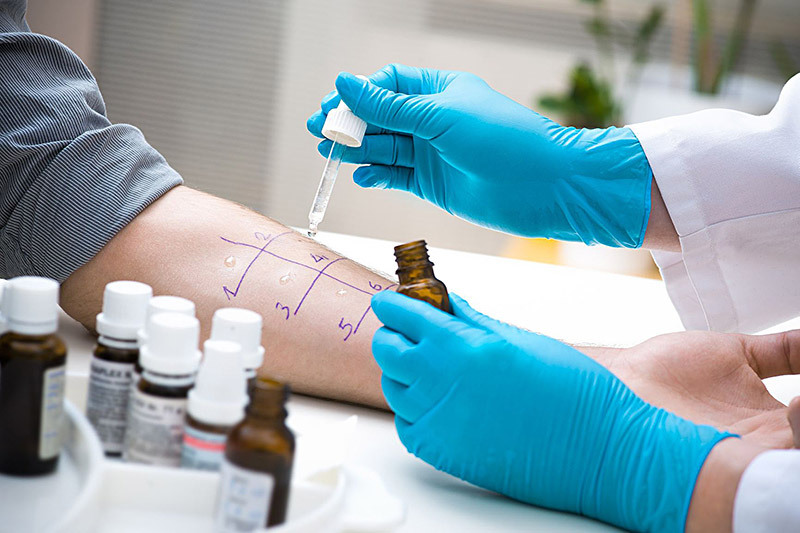 The most common method doctors use to identify specific allergies is a skin test. By scratching the skin, or making an injection just underneath it, the doctor can observe your body’s reaction to various allergens. As an alternative test, blood tests may be used for people with skin conditions, those who are on certain medicines, or those who are extremely sensitive to a particular allergen. Several medications maybe used to block the action of allergic mediators, or to prevent activation of cells and degranulation processes. These include antihistamines, glucocorticoids, epinephrine, mast cell stabilizers, and antileukotriene agents are common treatments of allergic diseases. Anti-cholinergics, decongestants, and other compounds thought to impair eosinophil chemotaxis, are also commonly used. 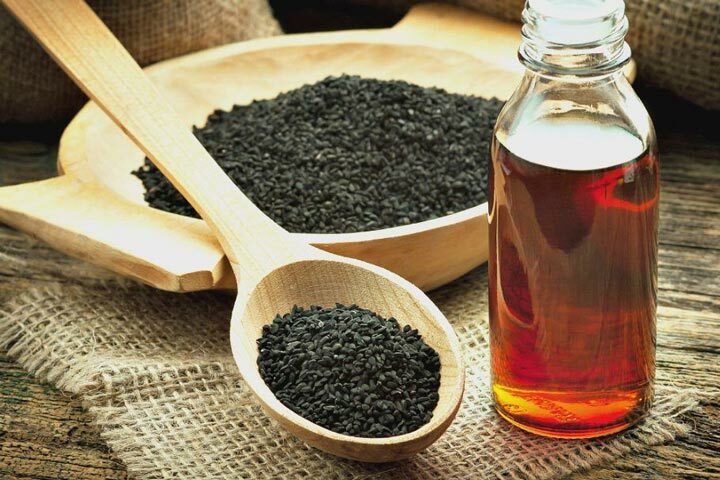 However, there is no real cure for allergies, but it is possible to relieve symptoms. The only real way to cope with them is to reduce or eliminate exposure to allergens.